Jarryd Felton has sent a stern message that he’s hungry to collect yet another amateur title. A stellar third round 4-under-par 67 sees Felton with a two stroke margin heading into the final round of the Golf SA Amateur Classic being played at Glenelg Golf Club in Adelaide. Felton, with victories in the Tasmanian Open, New South Wales Amateur, Queensland Stroke Play and Mandurah Open, is currently at 2-under-par following opening rounds of 73-71-67 and sits two strokes ahead of Troy Moses, Aaron Wilkin and Jordan Zunic. Master of the Amateurs champion, Simon Viitakangas, is in fifth position at 2-over, with Jake McLeod, Cory Crawford and Tim Hyland sharing 6th position at 3-over. Glenelg has again proved a stern test for these elite amateurs with Felton being the only player currently under-par after three rounds. In today’s third round only six players bettered the par 71 on this challenging and majestic 6234 metre layout. 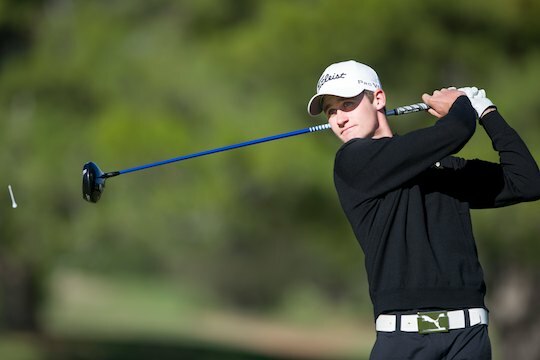 “Conditions were certainly favourable today,” said Felton, ranked 32nd on the R&A World Amateur Ranking system. In an ominous sign of what might eventuate come tomorrow afternoon, each time Felton has won he’s lead after 54 holes. Once in front, Felton rarely lets a tournament slip. With starts in a number of main US events, including Sahalee, The Players, Western and US Amateur, Felton has a full international schedule pending and would love nothing better than to end his Australian campaign with another win in our final major amateur event before players head to the UK and US tournaments.